Technology has became an unintegral part of our life. Today most of our daily jobs are done with the ease of technological gadgets. Thousands of new consumer and special purpose gadgets are introduced every year . Many trade fairs and exibhitions are held throughout the year. CES is one of the most renowned Technology exibhitions held every year. It is the place where all the tech giants reveal their products. This year in CES 2017 we have seen much more innovative and featurepacked powerful devices which will help to improve our lifestyle. From Wallpaper-thin TVs, drones that can dive underwater, to a computer the size of a credit card. These are just the few of the gadgets unveiled in theannual CES gadget expo in Las Vegas. Where companies in Tech, Automotive etc launches their new inventions. The biggest themes at CES this year include self-driving cars, home robots, and tons of integrations with Amazon’s Alexa voice assistant. We also saw razor-thin laptops and convertible computers, along with show-stopping massive televisions. Dell’s newest premium detachable laptop/tablet hybrid is the Latitude 7285. Because it’s from the Latitude series, it’s meant for business users, but there are enough cool features that it’ll be interesting for anyone looking at a high-end hybrid. Dell introduced several convertible laptops this year, and the most notable include its Latitude 7285 and new XPS 13 models. The former is a Surface Pro 4 rival that includes a sharp screen, stylus, and a sturdy keyboard that more closely resembles that of a laptop than most hybrids. The latter is an updated version of Dell’s already great XPS 13 that includes a flexible rotating hinge for use in different positions. Virtual reality has been a big deal at CES for the past few years, but none quite like this year. 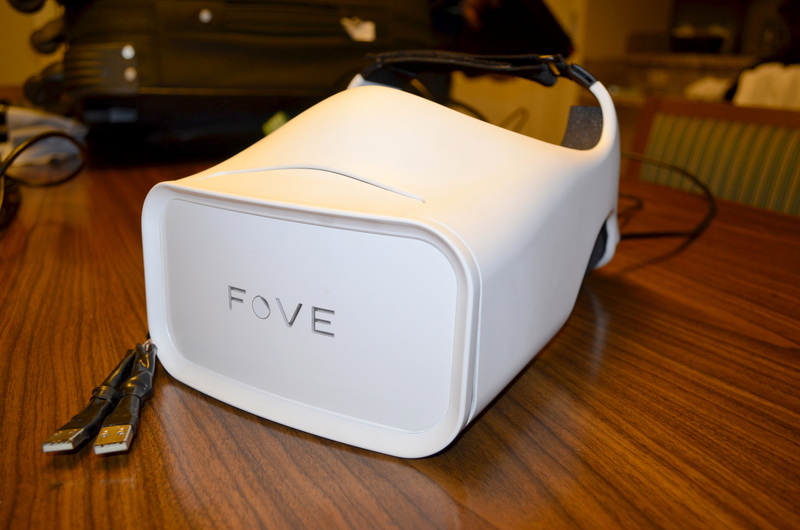 One of the most impressive conceptual ideas at the show was the Fove Eye-Tracking VR Headset, which does exactly what it claims to do. By tracking your eye movement, this VR headset can help prevent motion sickness and present the virtual worlds in a way that’s more realistic to how we see the real world. It can also help users perform some more practical functions in VR such as navigating through menus and gaming. The new Nvidia Shield TV device, a 200$ Android-based TV streaming box powerpacked with excessive processing power, was the head turner of audiences. It’s the ideal streamer for PC gamers who also want to play those games in their living room, for media hoarders who want to build a cheap a Plex server, for cord-cutters in search of over-the-air DVR solutions. Its previous version The Nvidia Shield Android TV was the breakthrough in the android TV industry. Comparatively both the devices have same specs, processing power, memory. THere is a slight difference in the Remote controller . The previous Shield had the built in Batteries rechargable VIA a micro-USB port, Whereas the new Shield’s controller has two removable, replacable batteries with no USB port. A monitor as the greatest gadget in the CES Expo!, Well this isn’t any of the normal monitors you’ve seen before. This is a 32-inch 8K monitor with a resolution of 7680 × 4320, which alone should make your mind spin. The numbers might not matter to you, but this 8K display really is an accomplishment that is sure to catch the attention of the industry. expected to cost about $4,999, but it’s a true spark into the future. Polaroid is famous for its old style instant photo print devices from times. The new Polaroid Pop , which is the newest edition to the polaroid camera. It may not help you in your next jungle safari, but it’ll be fun and quick for sharing instant photos with your friends. Polaroid pop combines the vintage concept withthe Digital age. The camera can instantly print the photos as well as stores it digitally. Thanks to its 20 MegaPixel camera and 3.97-inch LCD touchscreen for navigation, It has became the polaroid with most impressive specs. Titled as Razer’s Project Valerie, It was one of the most insane gadgets seen at the annual CES expo 2017. boasting three 4K screens, This concept laptop is said to be the first portable laptop of its kind. Powering Valerie is last year’s 6th generation Intel Core i7 processor, Nvidia’s GTX 1080 graphics and a mechanical keyboard. The GPU makes this setup VR-ready. Unlike Acer’s more robust gaming rig, Project Valerie is a lot more portable. Nearly half as light at 12 pounds, the entire setup is just 1.5 inches thick when the two side displays fold in for easy transport. After its release it is expected to cost above $6000. LG showed up in CES with a TV so thin that it looks like a expensive piece of art hanging in your wall. The Television is as thin as few credit cards stacked on each other. LG was able to get an extremely thin OLED screen and also providing stunning image quality. It’s a two-part system: the main display up top, and a Dolby Atmos soundbar below it. LG has not revealed final pricing yet, but you can bet it will be very expensive. Seeing a car in this list could be surprising. But It is so futuristic that i can’t miss this to mention on. Toyota unveiled its concept-i car in CES 2017 to highlight its vision for what its cars may look like in 2030. From wheels built directly into the body, see-through doors, and a modern clean interior and exterior. Lenovo’s new speaker is a slightly cheaper and more colorful alternative to the Amazon Echo. It includes eight microphones that Lenovo says can pick up speech from 16 feet away. It’s powered by Amazon’s Alexa voice assistant, so you’ll get access to the same set of “skills” of Amazon’s own gadget. Similarly, Lenovo is touting the Smart Assistant as ideal for tasks like answering questions, managing calendars and playing music. It launches this May in several colors and will cost $130-$180. We’ve always loved the Misfit Shine, a simple little wearable for fitness tracking. Now, Misfit is finally fully diving into the smartwatch game with the Misfit Vapor. Like its previous products, the Misfit Shine focuses on minimalism with its 1.39-inch AMOLED display and simple design. It’s got its own unique interface that is a riff on what Samsung has done with the Gear S smartwatches. On top of that, Misfit is promising two days of battery life on a single charge, as well as being waterproof. With Pebble phasing itself out, the Misfit Vapor is looking like it could be the next big independent smartwatch manufacturer heading into 2017.